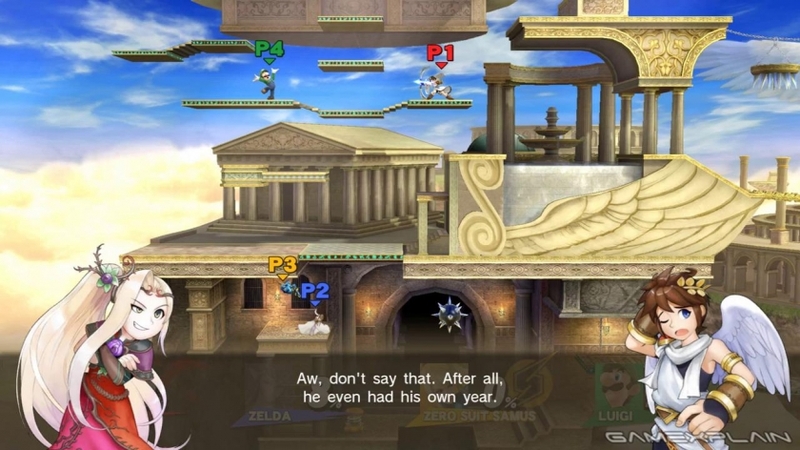 Super Smash Bros. for Wii U. YouTuber WiiFolderJosh has a number of videos showcasing some specifically themed battles in the new game, including a two minute brawl between Link and Toon Link. There isn’t really anything new to see, but it does give us a chance to see how crisp and gorgeous the Hyrule Temple stage is in action. You can check out the video above and more at the WiiFolderJosh YouTube Channel. Smash action. Our friends over at GameXplain have recently uploaded a number of videos featuring Palutena’s Gudiance Secret Mission dialogue. The one featured below also pays homage to Link in a way that is sure to make every Zelda fan at least chuckle on the inside. Once you are finished watching that, be sure to head over to their channel as well to see the rest of their Smash Bros coverage. Super Smash Bros. for Wii U releases on Nov. 21st in the US and in PAL regions a week later on Nov. 28th.